Further November Musings: The Days Are Long. 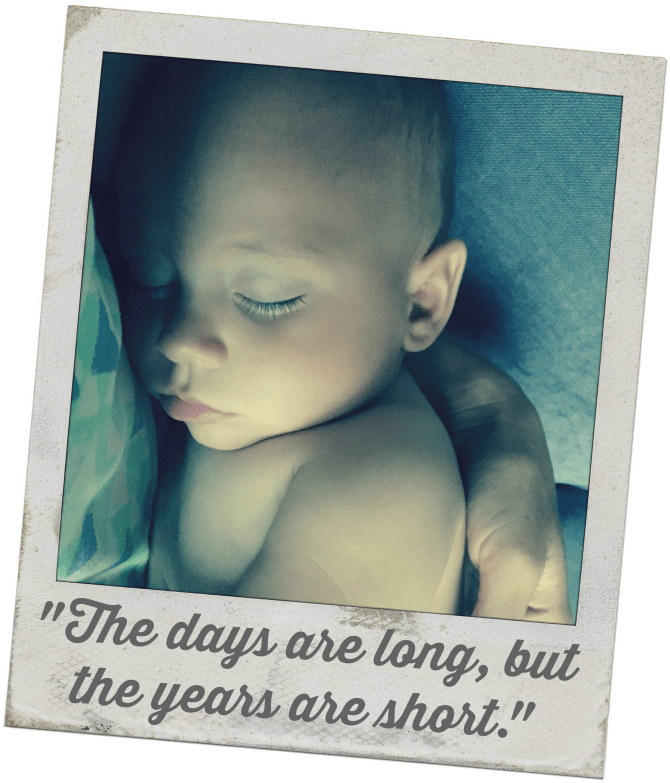 . .
“The days are long but the years are short.” If you are a parent to little ones, you’ve likely heard this phrase. In fact, if your experience is anything like mine, you’ve had these words (or something similar) repeated to you time and again, by everyone from your friend’s mother’s sister to the chatty cashier at the grocery store. There is certainly no shortage of friendly reminders to savor every precious moment with a baby. And the ubiquitousness of this phrase speaks to its potency and truth. These early days of motherhood, with their endless diaper changes and incessant nursing sessions and frustrating nap boycotts, are indeed long. I sometimes find myself checking the clock to see whether it’s too early to begin the nighttime routine, only to discover that it’s not yet noon. There is no denying the tediousness and often glacial pace of days as a stay-at-home mom. With less than a year invested in my own parenting journey, it’s too soon for me to speak to the shortness of the years. But even just ten months in, I am noticing that time—at least that which is measured in weeks and months rather than minutes—seems to be catapulting forward at record speed. Wasn’t it just yesterday that we brought Charlie home from the hospital? How is it that my newborn is suddenly crawling and babbling and sprouting teeth? Somehow, those endless days are morphing into months that whip past me before I can even get my bearings. I find that I am already beginning to resonate with the message of the fleeting nature of childhood. I wrote last week of my struggle to accept my present imperfections while also striving for improvement. In pondering that thought, I realized that I face a similar challenge when it comes to the passage of time. I grapple with my quest to savor the present while simultaneously looking hopefully toward the future. My natural bent is to always be looking forward, but this can come at the expense of my presence in the present. Too often a beautiful moment is squandered because my mind is on my ToDo list for tomorrow. . . or even for next year! We recently attended a wedding where we were reunited with some extended family, and the question on the lips of many of our well-meaning family members was when “the next one” will be coming along. Part of me was taken aback by this question: Charlie isn’t even a year old; how on earth can I be thinking about another pregnancy, let alone a second child? And yet our family’s curiosity was not too far off base: Luke and I do plan on having another child (and, if my body and sanity hold up, perhaps two or even three more) and given our age, that needs to happen sooner rather than later. I am hopeful and excited about the prospect of growing our family, and I look forward to experiencing the often-cited feeling of peace that comes with knowing your family is “complete.” Yet I fear that being optimistic about the future might somehow detract from these precious days as the mom to a single child. I haven’t yet discovered the solution to this quandary. However, I am sure of a few things: the future will come, whether I’m ready for it or not. And the present simply won’t wait. As enticing as it can be to glamorize or (try to) micromanage the months and years ahead, I am unwilling to sacrifice the sacred present at the altar of preparedness and security. These days can be long and hard, but they are worthy of all the attention and appreciation I can give them. Which brings me to today. After a month of colds and time change and interrupted sleep, we’re struggling to reestablish some semblance of a routine. As I rock Charlie for the umpteenth time tonight, my mind wanders to some moment in the future, when we are all well-rested and my child has gained more independence. I’m tempted to let my thoughts linger there, in this romanticized future that I’ve fashioned for myself. But then I gaze into Charlie’s gorgeous brown eyes and contemplate what he will be like in one year. . . five years. . . fifty years. It crushes me to think that there will come a time when he no longer needs his mama to rock him to sleep. When that day comes, I know that I will ache for these challenging, exhausting, GLORIOUS moments with my son. 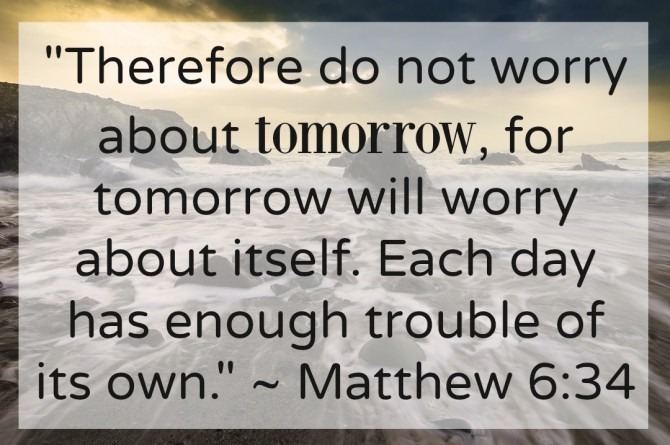 I am willing to let the future lie unattended; for now, I will live simply for today.